Preparing for a solo show and building from scratch my new studio had left me with very little time to spare. I had this tile for many weeks on my "in process" shelf. 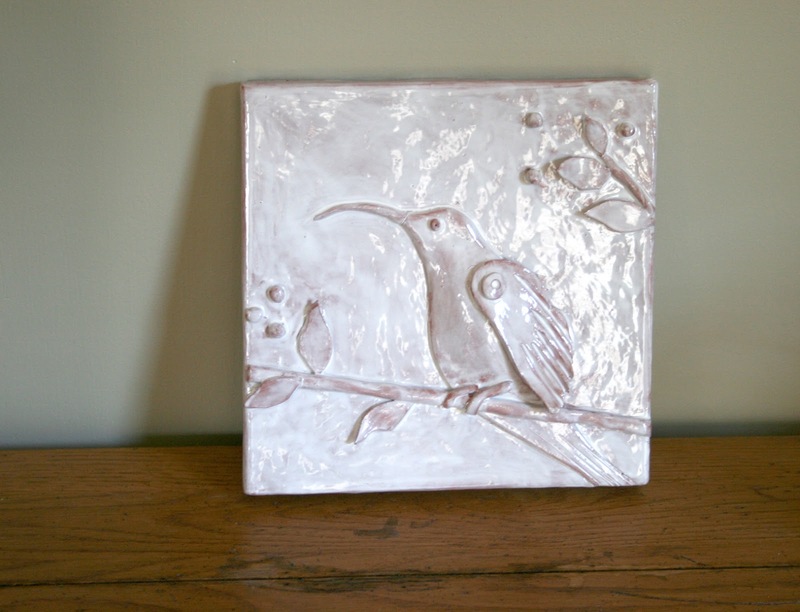 Yesterday I finally grabbed it and just clicked, I wont make more bird tiles. I started making them back when the recession started as a release of stress and with the intention to make people smile, and it did! I enjoyed all the wonderful feedback and of course the sales. Now it's time to move on and my feathery friends will leave home, maybe to a warmer climate. This one is so Shabby Chic I have no doubts it will go to a good home. I can picture it decorating a Kitchen, even permanently installed on a tiled wall.